The definition is to delay, stop or retard the aging process. Our bodies are made of cells, and aging occurs when there is cell death. As an infant, child and young adult, our body’s cells are strong, resilient and can make new cells. Moreover, as the years advance, our body’s ability to generate new cells diminishes, cell death occurs, and the aging process takes over. Shopping for an anti-wrinkle skin care product can seem like a hit or miss experience. With so many choices, it can be difficult to know which products to choose. The following dermatologists’ tips can help you shop with confidence. 1. Start with a sunscreen and moisturizer: When shopping for sunscreen, select one that offers the following: Broad spectrum coverage with SPF 30 (or higher) and it needs to be water resistant. 2. Treat your #1 aging skin concern: Give sunscreen and moisturizer a few weeks to work. Then look at your skin. Is there still a sign of aging that bothers you? By focusing on one concern, such as wrinkles or dark spots, you’ll get the best results. Look for a product that targets this concern. 3. Buy a product formulated for your skin type: Your sunscreen, moisturizer, and other anti aging skin care products will work best if they are formulated for your skin type. For example, if your skin tends to be oily, select a moisturizer made for oily skin. If you have sensitive skin, you want to see the words “sensitive skin” on the label. This is extremely important because no one product works for everyone! 5. Have realistic expectations: Exaggerated promises, such as look 10 years younger overnight or quickly reduces all signs of aging, are too good to be true. It’s important to remember that good anti aging skin care products do work and can deliver favorable results over time. 6. Select a product within your price range: It’s human nature to think that the more expensive the product, the better the results. Also, effective anti aging products come in all price ranges. Exposure to sunlight is the single biggest culprit in aging skin. Over time, the sun’s ultraviolet (UV) light damages certain fibers in the skin called elastin. In addition, the breakdown of elastin fibers causes the skin to sag, stretch, and lose its ability to snap back after stretching. The best anti aging skin care moisturizing products are those that contain hydrating elements such as vitamins C and E, essential tea-based oils, in addition to SPF protection of at least 30. What Is The Best Skin Care Line For Aging Skin? Retinol, a vitamin A derivative, can erase wrinkles and fine lines. Anti aging skin care products containing retinol are recommended for stimulating collagen synthesis. By supporting regeneration and growth of skin cells, retinol helps to fade skin pigmentation. What Is The Best Anti Aging Product To Use For Your Skin? When shopping for the best anti aging product, including bath soap, you might want to consider that manufacturers now use antioxidants or ingredients rich in antioxidants. Furthermore, foods like pomegranate and fish are rich in antioxidants. Antioxidants are an important part of any anti aging product because it helps improve skin. 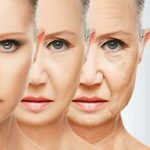 Does Anti Aging Cream Work? 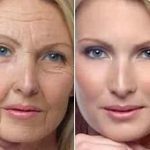 Manufacturers of many anti aging creams make some pretty assuring promises: Moreover, they claim to give you a face that looks younger by firming up the skin that has sagged, eliminating spots that have formed and leaving you with a rejuvenated glow. Note: “Clinically proven” means that the product was given to consumers to try. However, it does not mean the product underwent clinical trials and received approval from the U.S. Food and Drug Administration (FDA). Hold your cursor over Anti Aging for more pages! Murad has always been a brand to trust. I am wondering how the anti-aging products work to decrease the signs of aging? I know there are lots of “miracle” creams out there, and I have tried my fair share of skin care products. I always thought….the more expensive….must mean they work. This is not the case, although a good product such as Murad is not going to come at a bargain either I am guessing. I am willing to give these products a try. I know there is no wonder cream, but if they can decrease the signs of aging, than I couldn’t ask for anything more! Murad has some great products. Murad often has sales. The one ingredient that stands out for fighting anti-aging is retinol. Also, you will want to use a good moisturizer as well. 90% of aging is do to exposure to the sun. Since you live in Florida, I would use a good sunscreen of at least 30SPF, better that it be 50SPF. I have not heard of Murad Skincare before, I live in the UK, is it easy for me to find here? What countries do they ship to? I have a Beauty background and would love to find out more about this range of skincare if that’s ok. Yes, Murad has skin care products for all skin types. Look on my website and jump over to Murad and find what products you need and then contact their distributor there in the UK.